Grammy Award-winning bluegrass artist known for his exceptional banjo playing. He received his first banjo as a teenager and learned his clawhammer style of playing from his mother. 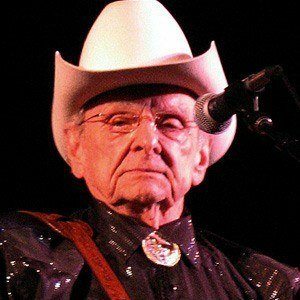 He is known in the world of bluegrass as Dr. Ralph Stanley due to being awarded an honorary Doctorate of Music from Lincoln Memorial University. He married singer Jimmi Stanley. He won a Grammy Award for his work on the soundtrack for O Brother, Where Art Thou?, which was produced by T-Bone Burnett.